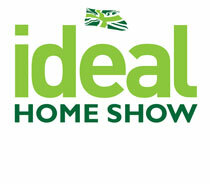 If you’re considering self-building, renovating or improving an existing property, you may want to pay a visit to one of the shows to get ideas for your build. With so many suppliers and like-minded self builders visiting the shows, they are great opportunities for you to make connections to help you plan your project. As well as talking to other self-builders and learning from them, you can also see the latest technology the industry has to offer and how these may be applied to your future home. Our list of shows provides an overview of what’s available in 2019. For more details about each event, just click on the more information button, it’ll take you to the website of the event. BRAND NEW LOCATION - The essential homebuilding and renovating event in Farnborough, it is the go-to exhibition for self builders and renovators. No matter what stage your project is at, there will be sessions, experts and exhibitors at the show to help you bring your project to life. Perfectly timed at the start of the year to reveal the newest launches, the biggest names and the freshest trends at the UK's largest furniture event. Make sure to visit the National Self Build & Renovation show in January to get the advice you need to create a beautiful new home at the first self build show of 2019. If you’re planning a self-build, renovating a property or looking to add light, space or value to your current home, then a trip to Build It Live South East will be an essential part of your preparation. Brought to you by Build It Magazine, the UK’s longest running, most focused self-build title, Build It Live brings the magazine’s indispensable monthly custom home building, DIY and renovation advice to life, providing a whole weekend of inspiration and expert guidance all under one roof. ecoSHOWCASE will present a unique series of one-day events, hosted in regional cities, where business specifiers and buyers can meet experts and suppliers of cutting edge sustainable building products and solutions. You can meet exhibitors, take part in seminars, see product demonstrations and ask experts for their advice at SelfBuild & Design Show at Peterborough Arena. Talk to the manufacturers, architects, suppliers, designers, builders and project advisors that serve the east of England. Living North LIVE is the most established Interiors and spring shopping event in the North. Visitors can expect unique and inspiring room sets, accessories and advice from the region's premier interiors companies as well as exciting garden design and a quality lifestyle shopping experience. 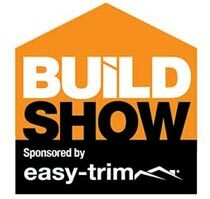 The National Homebuilding & Renovating Show is the go-to exhibition for self builders and renovators. No matter what stage your project is at, there will be sessions, experts and exhibitors at the show to help you bring your project to life. 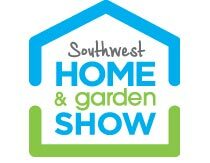 The Southwest Home & Garden Show hosts over 140 exhibitors and provides an ideal one stop shop for anyone about to buy, or have just brought a new home, those undertaking an extension, renovation, self build project or improving their home, holiday cottage, boutique B&B or Hotel. Built on seven years of success the Cornwall Home & Lifestyle Show brings you the best of the regions interiors, gardens, renewables and self build related products and services, all under one roof. Grand Designs Live returns to London’s ExCeL from the 4 - 12 May 2019. Running for 9 days, the show offers visitors a unique opportunity to see all the latest trends for the home as well as many products never seen before. Build It Live Bicester will take place between 8th June - 9th June 2019 at Bicester Heritage Event Centre, providing a whole weekend of inspiration and expert guidance all under one roof. You can meet exhibitors, take part in seminars, see product demonstrations and ask experts for their advice at SelfBuild & Design Show. Talk to the manufacturers, architects, suppliers, designers, builders and project advisors to get ideas for your self-build project. 100% Design is the largest and longest running design trade event for industry professionals in the UK. As the outstanding meeting place for business and design, 100% Design features an unrivalled talks programme; Talks with 100% Design, bespoke installations, and a showcase of carefully curated world-leading brands. 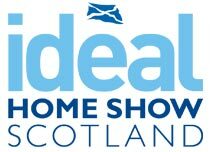 If you're considering a new build, renovation, or an extension, The Big Green Home Show is the place to start to get some inspiration and knowledge. 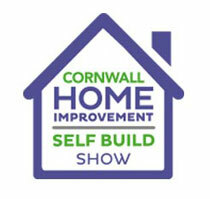 The Cornwall Home Improvement & Self Build Show is one of the country’s leading shows specialising in bringing together the best of the regions home related products and services all under one roof for public and trade visitors. Running on the 8th - 10th October 2019 at the NEC in Birmingham, Build Show, as part of UK Construction Week, will provide the most powerful opportunity available for suppliers and contractors to connect face-to-face, all under one roof. Formerly known as Smart Buildings, Building Tech Live has evolved to showcase the very latest technological advancements in IoT, lighting, automation, security, communication technology and more. It joins the Build Show, Timber Expo, Civils Expo, Energy 2019, HVAC 2019 and the Surface & Materials Show to make up the UK’s largest event for the built environment, UK Construction Week. Grand Designs Live returns to Birmingham's NEC from the 09 - 13 October 2019. Running for 5 days, the show offers visitors a unique opportunity to see all the latest trends for the home as well as many products never seen before. Selfbuild Live Cork is the ultimate showcase for people who are building, extending, improving or simply decorating their home. Visitors are presented an abundance of ideas, inspiration and advice via 1-2-1 Clinics, Theatre talks and hundreds of Irish based exhibitors. SelfBuild Insurance is not responsible for content of external websites and these websites are out of its control. Information regarding the shows is gathered from each individual organiser’s website and is subject to change or cancellation without notification. Please see the individual show or exhibitor’s site for full details.